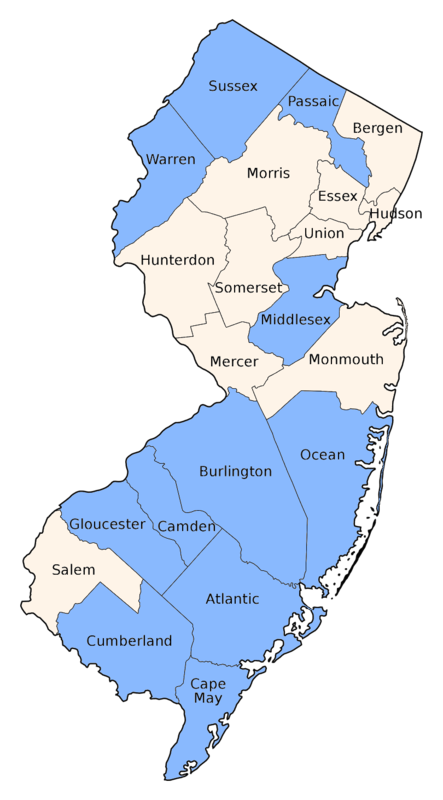 Found on the coastal plain, mainly in the Pine Barrens. Ponds and lakes, often with marshy edges. 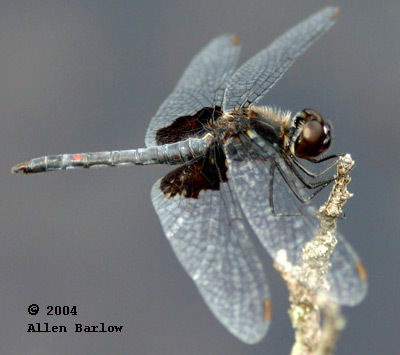 Males are blue-black with a single dark basal spot on the hindwing. Females have a single basal spot on the hindwing and a row of yellow triangles down the abdomen. Ornate Pennant is similar but retains reddish abdominal spots and has a smaller wingspot. 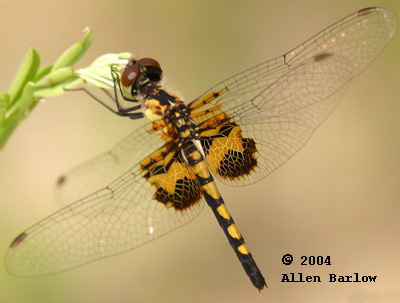 Banded Pennant has markings at midwing and towards the tip.